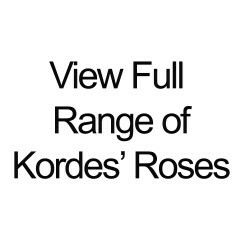 (Korschwill) - A reliable landscaping rose with a profuse amount of blooms in an unfading, shining r..
(Korgehaque) - Part of the new Parfuma collection by Kordes. Known as the Fruity Parfuma this r..
(Korettiflus) - A lovely new ‘Bee friendly’ rose with large open cupped blooms in off white with sun..
(Korgeriora) - A truly spectacular plant for your garden in an intense stable colour, even in full s..
A charming disease free, low growing bush to 70-90cm high and 50-70 cm wide. Covered in large cluste..
Abracadabra (KORhocsel) - An extraordinary and exciting striped colouring of red and yellow, whereby..
(KORhocsel) - An extraordinary and exciting striped colouring of red and yellow, whereby each bloom ..
Abracadabra (Korhoesel) - An extraordinary and exciting striped colouring of red and yellow, whereby..
(Koraddilu) - A distinctive sweet aromatic scent drifts in the air from this aptly named rose. A str..
Lovely in size and colour. Buds open to a beautiful big flower, much like a Peony. Buds are golden y..
(Korsoalgu) - This healthy ground cover produces semi-double coppery yellow blooms that fade to crea..